WAIST HIGH: Council Honour For Wilson. 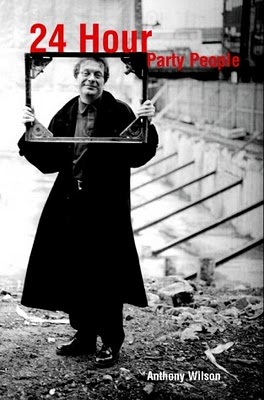 He was a true original in life - so it's no surprise that, in death, Tony Wilson is still a trailblazer. The maverick broadcaster and music impresario is to have his name carved into the wall of Manchester town hall in an honour usually reserved for honorary freemen. The Manchester City Council has declared that Mr. Wilson would 'undoubtedly' have been worthy of honorary freedom of the city had he still been alive. The council unanimously passed a motion this week saying Mr. Wilson, who died of a heart attack as he fought cancer, will 'always be known as Mr. Manchester' and asked chief executive Sir Howard Bernstein to arrange for his name to be inscribed on the wall alongside the freemen of the city. It is the first time such an honour has been given to a late Mancunian hero. Only 75 individuals and six regiments have been given honorary freedom. Mr. Wilson's name will go alongside that of Sir Alex Ferguson (granted honorary freedom in 1999) and near Sir Matt Busby (1967) - both heroes of his beloved Manchester United. "Many charitable and arts organisations across Greater Manchester called on Tony Wilson to support their efforts. He always responded." And it says: "Tony Wilson will always be known as 'Mr. Manchester' because he was one of us and never left us." Mr. Wilson, the former broadcaster, Factory Records boss, and owner of the Hacienda nightclub, died on August 10th. He had been suffering from kidney cancer.